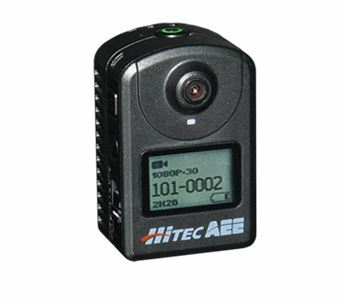 Whether your hobby interests are rooted in ground pounding surface vehicles or high flying aerial planes, helis and multirotors, Hitec’s partnership with AEE has resulted in a pair of new action cameras. The MD10 and S60 are the perfect way to capture all of your hobby action. First up is the MD10. This camera can record in 1080p30 and also features a 720p60 WVGA 120fps mode. Eight megapixel stills can be captured at a burst rate of up to eight frames per second. This rugged camera comes with an IP-68 rated waterproof housing that is good for up to 20 meters diving depth (full package only). The S60 can shoot video at 1080p60 and shoots 16 megapixel still images. A two inch LCD screen is included for reviewing media on the camera and power is provided by a high capacity 1500mAh Lithium battery. 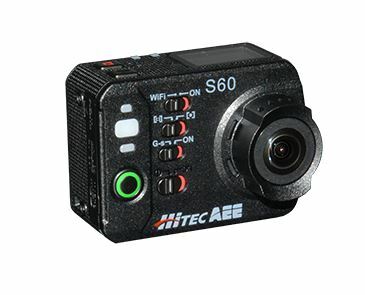 Check out the full specifications for both of these new action cameras below and click through to Hitec for more information on ordering your own! Dimensions: 1.34 x 1.10 x 2.05 in. Includes: Camera, Waterproof Housing, Quick Release Mount, Body Clip Mount, Waterproof Body Clip Mount, Two Flat Adhesive Mounts, Two Curved Adhesive Mounts, Quick Release Mount, Carrying Pouch, USB Cable, Wrist Strap, Manual and CD. Dimensions: 2.32 x 1.69 x 1.38 in. Previous MaxAmps Celebrates their Tenth Anniversary!